Adaptive Insights, the leader in cloud corporate performance management (CPM) for the biggest brands and the hottest companies, today announced another record quarter, capping a year of corporate, product, and customer milestones for the high-growth company. Performance for Q4 2015 continued the company’s strong momentum in the cloud CPM market, ending the year with 50%+ year-over-year (YoY) growth in total annual recurring revenue (ARR) bookings. As part of a broader leadership expansion plan, the company appointed a new CFO, Jim Johnson, former CFO of TIBCO Software and Jasper Software. It also appointed new board member Mark Templeton, former CEO of mobile workspace provider Citrix (NASDAQ: CTXS). With market share expanding across enterprise and midsize company categories, Adaptive Insights now has over 3,000 customers, more than three times the customers of all other cloud CPM competitors combined. Additions to the company’s global customer list in Q4 2015 include Applied Micro, BDO Canada, Cal Poly San Luis Obispo, Epcor Utilities, Pei Wei Asian Diner, P.F. Chang’s China Bistro, Planned Parenthood Federation of America, Sirius Decisions, The E.W. Scripps Company, The University of Edinburgh – Accommodation Services, and UC Davis Office of Research. Throughout 2015, the company had significant corporate, product, customer, and partner achievements, including hiring new CEO Tom Bogan; raising $75M in venture funding; launching a new Adaptive Revenue Solution; becoming a Workday certified partner; and receiving top rankings for product/services scores across multiple use cases in the Gartner Critical Capabilities report. · Industry Recognition. Adaptive Insights’ was named to the 2015 Deloitte Fast 500 Technology list, which recognizes high-growth companies, for the fifth consecutive year. Adaptive Insights is the only cloud CPM vendor recognized and a record 20% of the list are Adaptive Suite customers. · Strong International Growth. Q4 2015 sales span 35 countries, underscoring continued global expansion. Key international customers include eClerx Services (India), Gulf Finance Corporation (Dubai), Hedeselskabet (Denmark), Latin American Caribbean Internet Address Registry (LACNIC) (Uruguay), The Tax Institute (Australia), and William Reed Business Media (United Kingdom). The Nordics are a rapidly growing region, with 10 new customers in Q4 including Cxense (Norway) and Helvar Merca (Finland). · Expanding Partner Network. Adaptive Insights experienced strong growth across its global partner network. 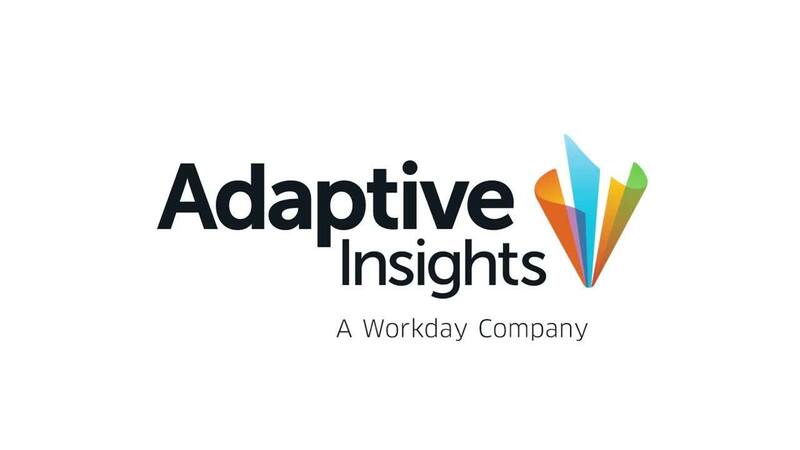 In addition to becoming a Workday certified solutions partner, Adaptive Insights also expanded globally with 19 new partners in six countries, including Canada, Singapore, and South America, among others. · Highest Customer Satisfaction. Continuing its leadership position in customer satisfaction rankings, Adaptive Insights achieved the number one position in end-user satisfaction in the Trust Radius Corporate Performance Management Software TrustMap report. The company’s continued focus on delivering easy to use/easy to implement solutions drove a Q4 2015 100%+ revenue renewal rate, including upsells. Adaptive Insights is the leader in cloud corporate performance management (CPM). Via its software as a service (SaaS) platform, the company offers capabilities for budgeting, forecasting, reporting, consolidation, dashboards, and analytics that empower finance, sales, and other business leaders with insight to drive true competitive advantage. The Adaptive Suite is sold direct or is available through Adaptive’s robust cloud CPM channel ecosystem of 200+ partners, including Accenture, Armanino, BDO, Cohn Reznick, Intacct, KPMG, McGladrey, and Plex Systems. NetSuite also offers Adaptive Insights as its NetSuite Financial Planning Module. More than 3,000 companies in 85 countries use Adaptive Insights. These range from mid-sized companies and nonprofits to large corporations, including AAA, Boston Scientific, CORT, Konica Minolta, NetSuite, Philips, and Siemens. Adaptive Insights is headquartered in Palo Alto, Calif. For more information, visit www.AdaptiveInsights.com, the Adaptive Insights Blog, and follow Adaptive on LinkedIn, Twitter, Facebook, and YouTube.